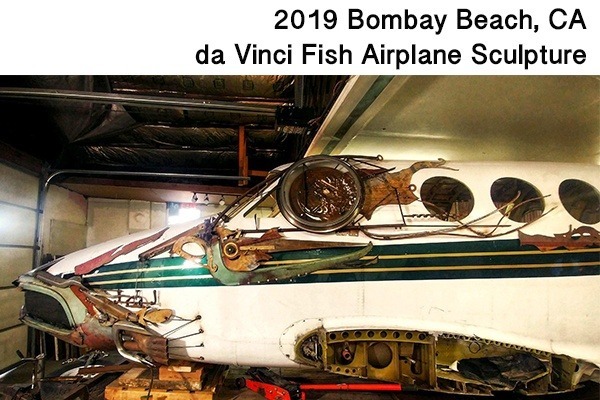 Horse/Cow 57 (sculptor Sean Guerrero and friends) presents: The da Vinci Flying Fish permanent installation in Southern California to be completed by March 23, 2019 for the start of the 4th Annual Bombay Beach Biennale, a renegade celebration of art, music, and philosophy. Founded by artist/filmmaker Tao Ruspolli, this event takes place each year on the literal edge of Western Civilization, at the shores of the Salton Sea. 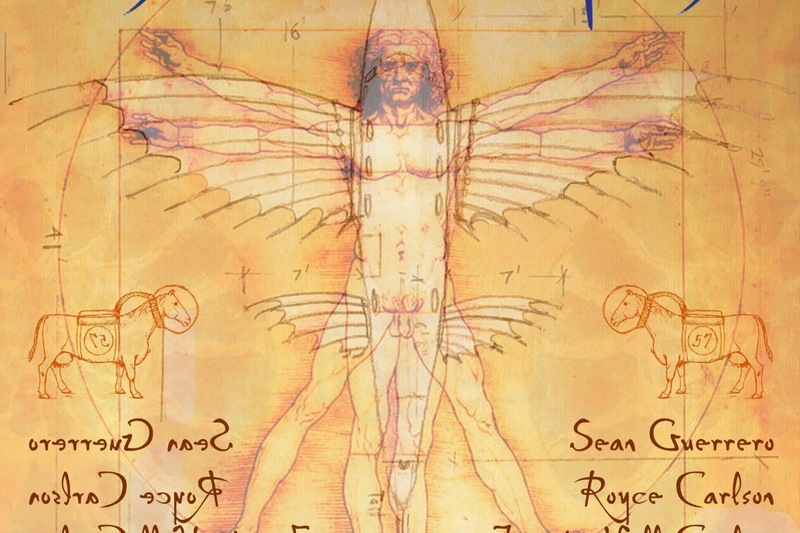 It coincides with Desert X, a site-specific contemporary art exhibition in the Coachella Valley, February 9 – April 21, 2019. 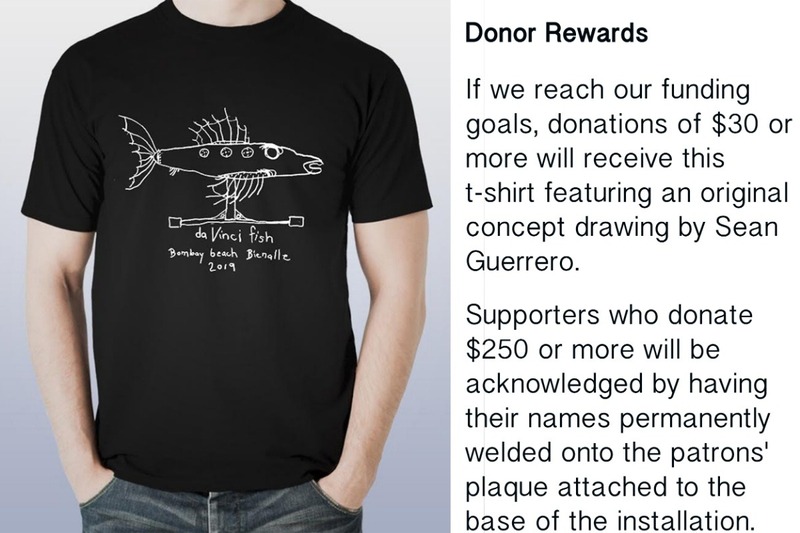 Sean Guerrero (click here to read his story) leads a group of gypsy fabricators in erecting a larger-than-life flying fish to soar above the shores of the evaporating sea. 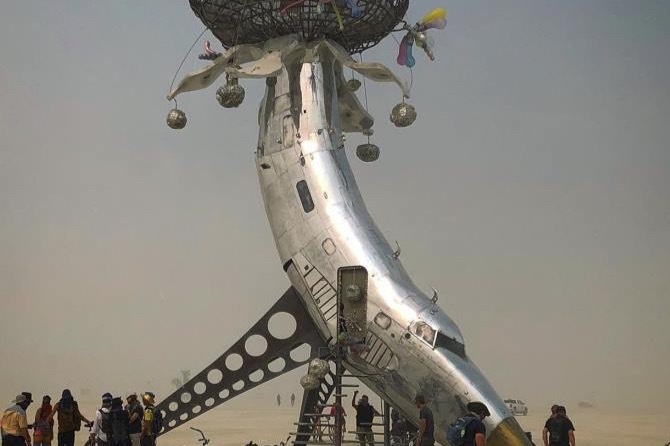 They propose to build a kinetic sculpture over 25 feet in height from a discarded executive airplane fuselage perched atop a repurposed semi axel that will be driven by prevailing winds and solar power. The installation will be a visual acknowledgement to the elements of the area: the dying sea ; naval aviation; migratory birds and fish, their threatened food. Your donations will provide expenses for four vehicles pulling four trailers of materials (fuselage, base, rotation structure, outriggers), three weeks of basic lodging and desert provisions, fees for lift equipment, cement for ballast, finishing materials and incidentals. This public installation will not only provide a permanent emblem of local interest and a reminder of the lasting positive impact of the Salton Sea, but is also a call to creativity and a recognition of natural inspiration to the thousands of visitors who will see it every year. 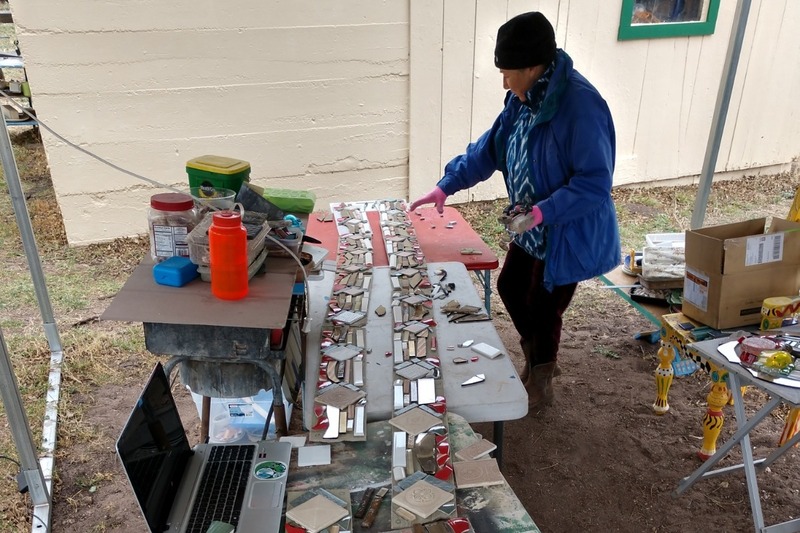 Alive in the wind at the Bombay Beach Arts and Culture Center in time for the exciting Bombay Beach Biennale! Beginning stages of the flying fish. Cosmetic work. Mouth, eye and gills.